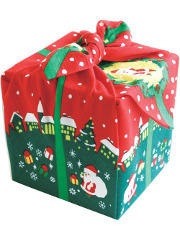 Wrap your gifts or your lunch box with this beautiful Furoshiki, traditional decorated fabric used to make convenient wrapping. 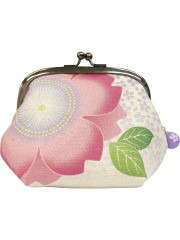 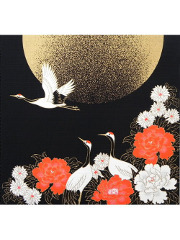 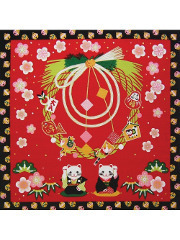 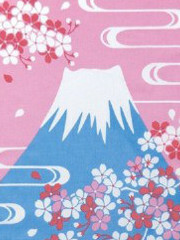 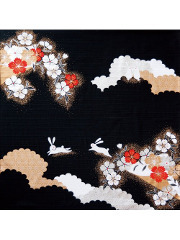 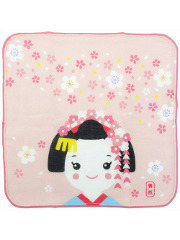 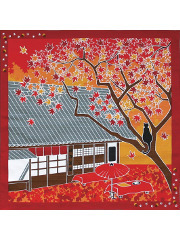 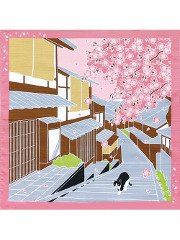 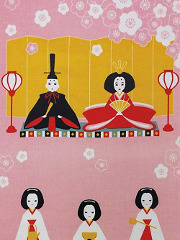 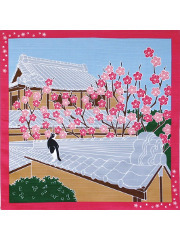 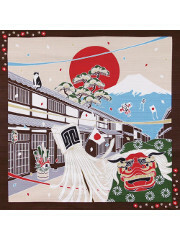 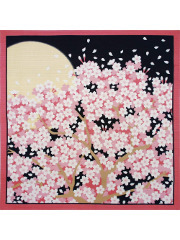 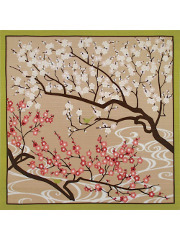 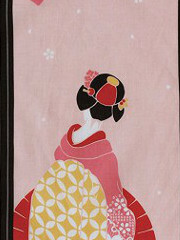 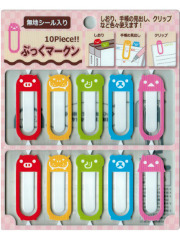 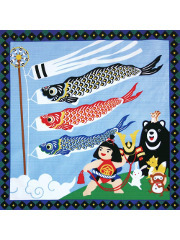 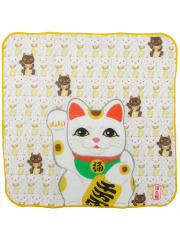 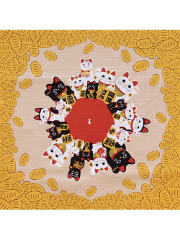 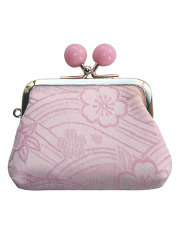 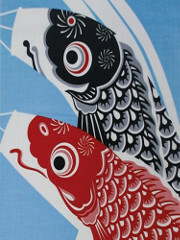 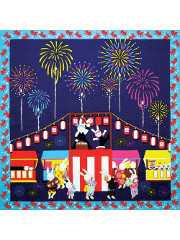 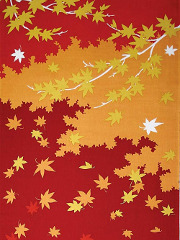 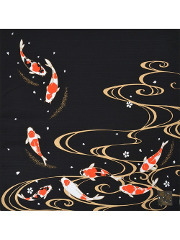 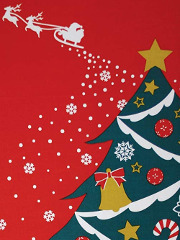 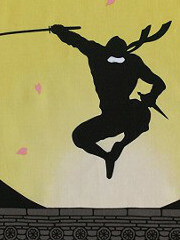 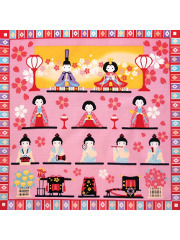 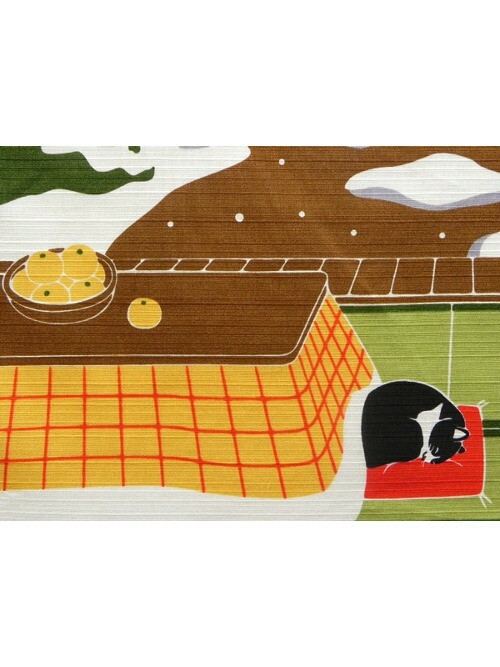 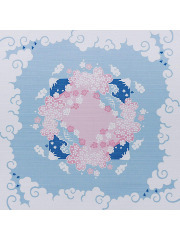 Furoshiki are also beautiful decoration accesories that can be used as tablecloth or exposed on a wall. 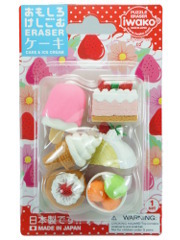 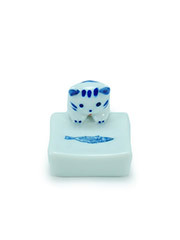 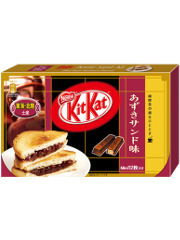 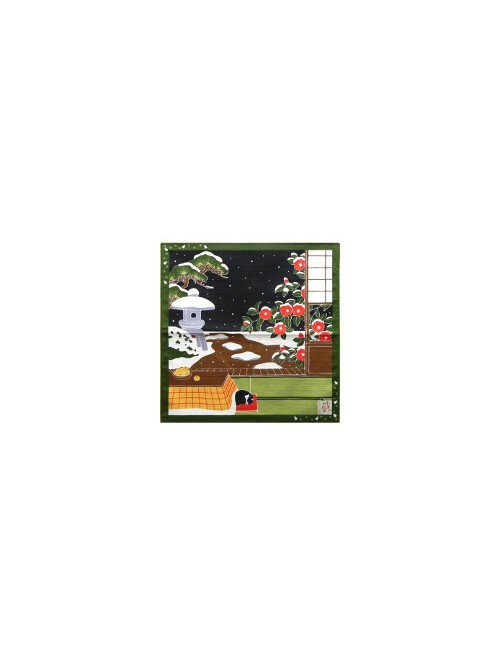 This model represents a really sweet and quiet Japanese scene of life during winter. 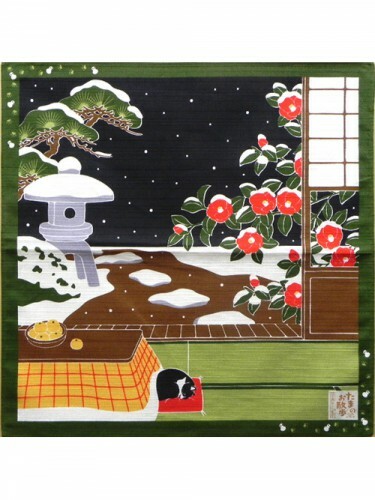 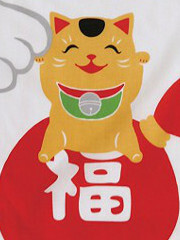 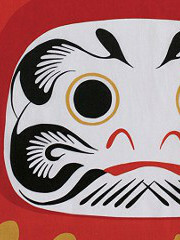 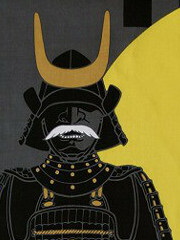 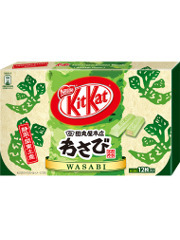 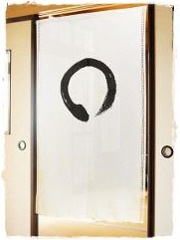 Find out more about use and history of Furoshiki and at their category page.